My granddaughter got some for Christmas from her Aunt. Well, I gasped for air as I saw them. The reason? My grandmother made sock monkeys, and there I was, ten years old in my grandmother's living room again, having so much fun with those sock dollies. I whined so much about them and how cute they were, that my granddaughter's Aunt got me two of my own, and now I have "Mr. and Mrs. Sock" who live very happily on my bakers rack, overlooking all my daily joys, keeping us safe, and bringing a smile to my face. Sock Update: Mr. & Mrs. sock recently had an addition to the family, "Baby Sock". 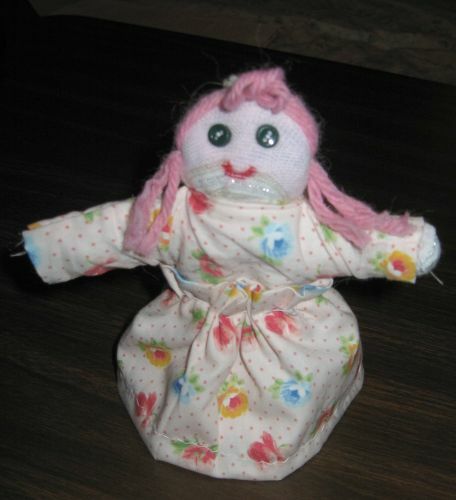 When I was a little girl (MANY years ago) I had a sock doll. She was my favorite "baby". Where I went, she went. I tucked her in each night, and woke her each morning. When I was 10, we moved. And somehow, somewhere in the move my sock baby was lost. I mourned her loss for years, and if truth be told, there's still a place in my heart that is sad at her loss. So over the years she would pop into my mind now and then with a wistful feeling. 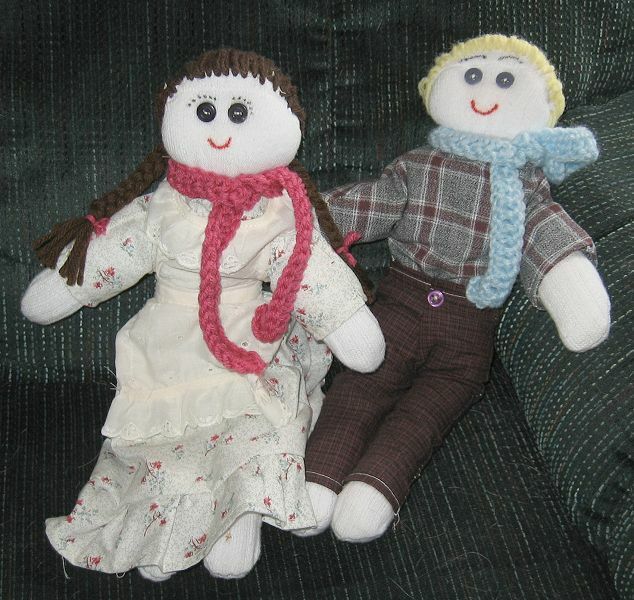 Tonight, some would call it a fluke, I call it fate, a friend of mine told me, "you HAVE got to see this sock doll site. And there she was ... older (like me! ), but my sock doll!! And soon we will be reunited!! Becky is on her way to me!! Squee!! 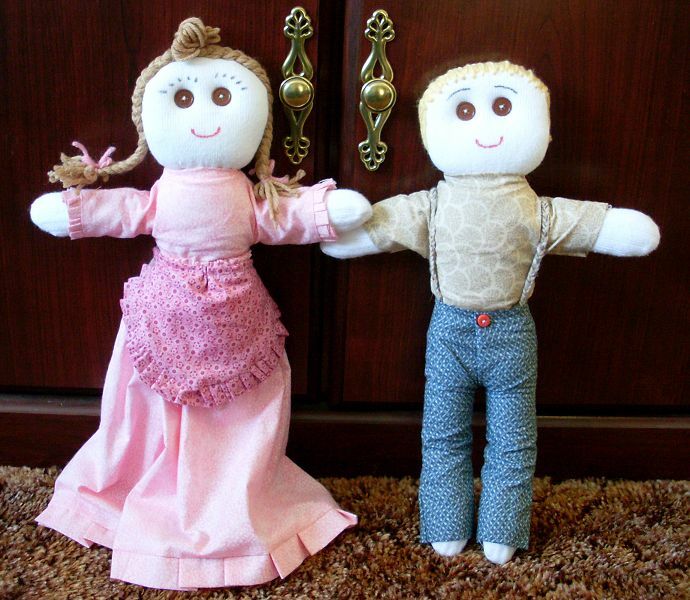 We got our dollies last week and they are SO adorable! 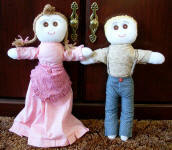 Charity instantly named hers "Laura Bell" and Justice named his "Percy". They are already sleeping with them and taking them everywhere! Charity looked at her and noticed "Laura Bell has brown eyes and brown hair like me!" Thanks so much Pea! My friend saw the girl dollie last night and I have a feeling we will be adopting another dollie for her little girl soon! Thanks again, they are so much fun!